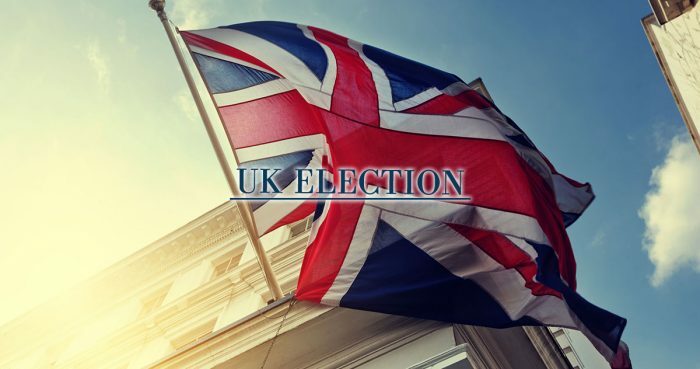 Theresa May, prime minister of the United Kingdom, surprised the world with calling for general elections in this June instead of 2020. Before Tuesday, she said she’s against elections before due date but changed her mind and so far, and markets are backing her. “I have only recently and reluctantly come to this conclusion but now I have concluded it is the only way to guarantee certainty for the years ahead”, said UK’s Prime Minister when announcing her decision about the general elections. May believes that opposing parties could jeopardise their Brexit plans, and general elections should give the extra strength they need to go on with the procedure. It’s important to see that May’s Conservative Party only has a small majority in the Parliament and it’s understandable that they want more to coordinate the Brexit and legislations. The latest polls show that the conservatives are far (by more than 20%) ahead of the Labour party, so general elections could really help them. Surprisingly, the Labour party supported the elections for the Commons, therefore the needed two-thirds majority was no problem for May’s plan. A win on the elections would not only help Theresa May internally but externally as well. The European Union was rather hard with the British during the talks but May could believe that winning another election could show that the country is still supporting her against the EU. 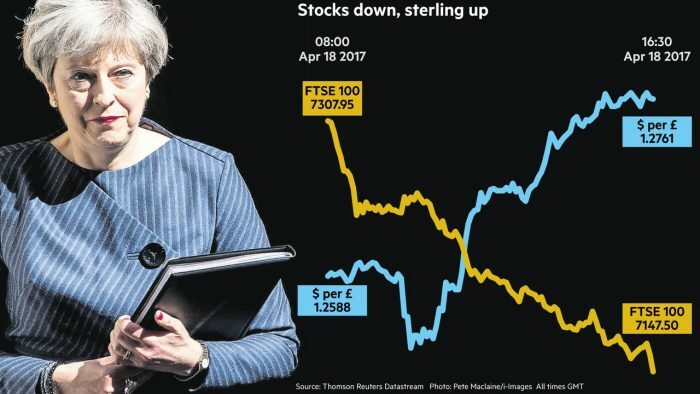 After the announcement, many believed that this procedure may further weaken the UK’s economy and the British Pound, but the markets decided otherwise. The GBP – which was having a hard time ever since the Brexit referendum – started to strengthen. In the same time, stock markets started to fall, but that is common lately as strong GBP is bad for British companies. Deutsche Bank however believes that all this may have a good impact on the country as they wrote: “We have been structurally bearish on sterling for the last two years but are now changing view. We are closing out all our bearish FX trades”.